#AskTDS: Is the agent allowed to carry out the check-out inspection? Check-out reports are a key document when looking at deposit deduction disputes. The report is the landlord’s opportunity to illustrate any changes to the contents, cleanliness and condition of the property, at the end of the tenancy, in comparison to the inventory report conducted at the start. Equally, the check-out is also an opportunity for tenants to illustrate that they have adhered to their responsibilities outlined in the tenancy agreement when returning the property to the landlord. There are no restrictions on who can carry out the check-out inspection but it is advised that it is a clear and comprehensive assessment of the property at the tenancy end. Moving out of a rental property can be a busy time for both the tenant and the landlord. It is important to find the time to carry out a thorough check-out inspection of the property, to ensure that any issues are logged. Landlords may choose to instruct an agent/inventory clerk to conduct the check-out inspection if they feel that they lack the expertise to do this. As a tenant, it is a good idea to complete your own check-out inspection before you vacate the property. Tenants should also take photos to demonstrate the contents, cleanliness and condition of the property before you leave. You can then compare the results to the original inventory from the start of the tenancy. Ideally, tenants should be present at the check-out inspection to ensure that your views about the contents, condition and cleanliness of the property at the tenancy end are taken into account. Bear in mind that if there is a disagreement about the condition, contents or cleanliness the property was left in and you want to contest associated deposit deductions, TDS’ adjudicators will rely on key documents like the inventory, check-in report, check-out report and tenancy agreement to come to a decision. If there is a disagreement which can’t be resolved by agreement, all parties have access to a free and impartial alternative dispute resolution service from TDS. What if an inventory report wasn’t provided? Without an inventory, check-in or check-out report, it will be a great deal harder for either party to prove the condition of the property at the start of the tenancy. This could mean that issues, like the level of cleanliness, are open to interpretation. You can read our Ask TDS blog: "What is the difference between professional and domestic cleaning?" for further guidance on this. When it comes to disputes without a check-out report, adjudicators will look to see what other evidence is provided to them. This evidence can be anything from a cleaning invoice to proof of gardening - as long as a date and cost are included. To conclude, inventories/check-ins and check-out reports can be the deciding factor in a dispute (and can even prevent them from occurring) so it’s really important that they’re clear and detailed. Those considered to be the best evidence will usually contain dated photos, and have been signed by the tenant. Regardless of who produces the report, in the event of a dispute, it is the quality of the report’s content and the information it provides, that will count. Michael Morgan is the Tenancy Deposit Scheme’s Director of Dispute Resolution. Having trained as a solicitor, Michael has been involved in dispute resolution for over 20 years. 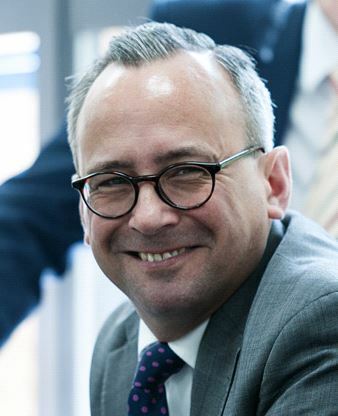 His previous roles have included leading the consumer advice service for Hertfordshire Trading Standards; Michael was also the Chief Conciliation Officer for Qualitas, the Furniture Ombudsman, where he took a formative role in its transition to Ombudsman status. Michael joined TDS in 2006 as a Deputy Independent Case Examiner. He is now responsible for the overall management of its dispute resolution services and the quality of its adjudication functions. Michael has also led a number of key ‘behind the scenes’ innovations at TDS. Michael was selected as a judge for the UK Complaint Handling Awards 2017.